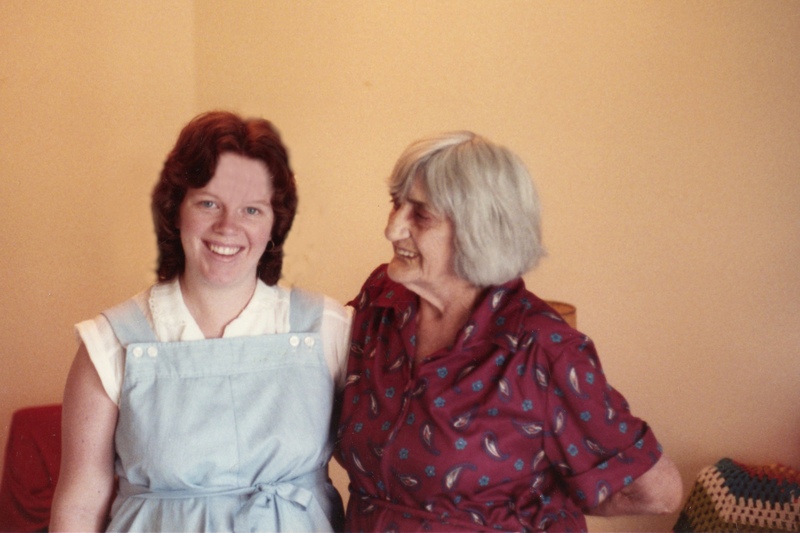 I didn’t really get to know my Grandmother – my mother’s mother – until I was 26. It was my second occasion ever to see her. The whole story is quite complicated. My Grandmother Ruby left her family when my mother was 6 months old. She abandoned her 3 sons and husband to run off with another man. She took my mother with her. This man and my grandmother robbed a train together and my grandmother was convicted of being an accomplice in the crime. She served 4 years in Federal prison in Atlanta (See Tell the Story: Ruby ) and my mother was sent to an orphanage. My grandfather found my mother 6 months later, when she was 1 year old, and brought her home. But this story isn’t only about my grandmother and her choices, but instead getting to know this woman after hearing about her during my entire childhood years. The first time I met Ruby she came to visit our house for a week. I was in 8th grade and it was a big deal that she was visiting. I believe it was the first time that my mother saw her since her childhood. Ruby spent much time hugging my Mom and trying to caress her. My Mom was extremely uncomfortable with this show of affection. My uncle urged my Mom to get to know her mother. He had reached out to her and he said he didn’t regret it. It took years for my Mom to forgive her mother and invite her to stay at our home. My Mom opened our door, but she kept didn’t completely open her heart. I watched my Grandmother with curiosity – she was truly the one that I always heard stories about. Her previous antics were legendary. This woman who spent time in prison was a guest in our home. I also observed my Mom and saw a good sense of dignity and class, and forgiveness. I remember feeling compassion and respect for my Mom. But I had never seen my mother that uncomfortable. Later, when I was first married, I received word from my uncle that my grandmother was in the hospital in Washington, D.C. Ruby lived in the projects in D.C. and during the night, she had been bitten by a rat. The infection in her leg was severe. It really bothered me that my grandmother was living in an environment that allowed this situation to happen. I didn’t have a relationship with her, but technically she was my grandmother. At my first job after college, I received a bonus check for Christmas. I decided to send this extra money to my grandmother. It seemed that she needed it more than I did. 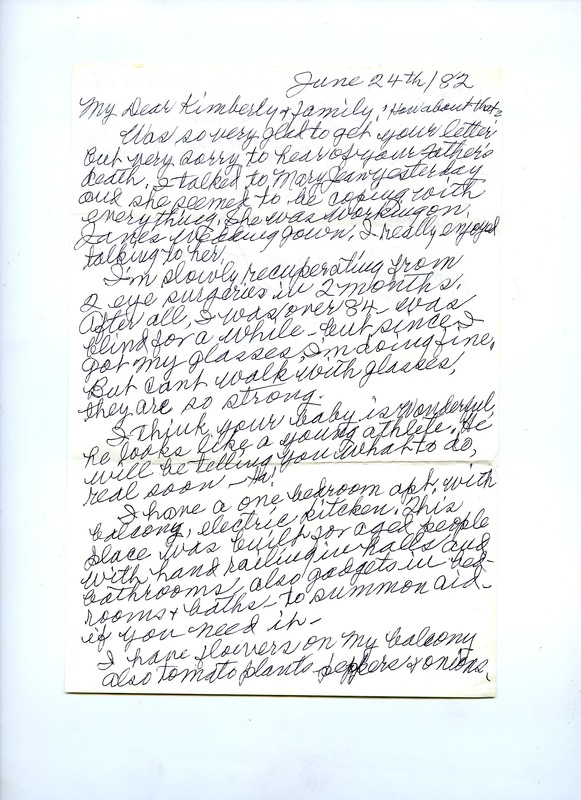 A few months later I received a letter from my grandmother thanking me for the gift. The letters were telling. She grasped for what to talk about. She knew what not to talk about. She thanked me for the gift and asked about my family. She remarked that I married in a Catholic church and that she grew up Catholic as well (which I didn’t know). She didn’t talk about the past, or the future – she stayed in the here and now. Most conversations between grandmothers and granddaughters are filled with expressions of affection. Ours were filled with expressions of wonder and curiosity. A year later my husband and I were going to the East Coast to visit my husband’s grandparents. We were driving and decided to detour through D.C. to visit my grandmother. My grandmother awaited our visit and was pleased that family was coming to see her. We parked the car outside her senior-living high-rise apartment and my husband, my baby boy and I nervously crossed the street to get inside. The neighborhood was marked with graffiti and some building had broken windows. We thought we might not see our car when we came back out, but ventured into the apartment building anyhow. We were all nervous, but not sure what caused us the most angst: the visit itself or the neighborhood. We only had 3 hours for the visit because we had booked a hotel out of town for the night. I hadn’t seen Ruby in 14 years and she had definitely aged. Remarkably, she exhibited my mother’s mannerisms. She stuttered when she answered the phone and as a nervous habit, she rubbed her thumb and forefinger together in a circle – as my mother often did. Her apartment was sparsely furnished and she gave me the grand tour. The tour seemed to fill the space that existed between us. She showed me a china doll that she had kept through the years. It had a broken face and I remembered my mother telling me about a Christmas when she received a doll just like this and her older brother had broken the face. I wanted to ask if this was my mother’s doll. Just as much as I wanted to ask her questions about her life and my mother, she tried to avoid the conversation. I wasn’t visiting to get a complete story from her, but, in the depth of my soul, I wanted to know why she left or really how she could leave. What was going on in her life to cause her to leave my mother and her family? But the question hung silently in the room unasked. When it was time to leave, Ruby asked me if I would like to meet someone very special to her. She seemed hesitant to ask, but I could tell it was her intent from start. She called and invited her friend to her apartment to meet us. He was an older black gentleman who clearly had feelings for my grandmother. He treated her very kindly and he was nervous about being accepted. My son Scott helped us all get through the nervousness. He entertained us and helped us laugh together. We left a few minutes later and as I hugged her, I was fairly certain that it would be the last time I would ever see her. I left with the memories of a pleasant visit – what remained were the answers to all the questions. We sent each other several letters after that. She died 2 years later on my birthday. My uncle called me to tell me that she was gone. My grandmother left instructions for him to call me after she died. Life is sometimes an unanswered question. But I know why families are created with all their imperfections. It humanizes us. 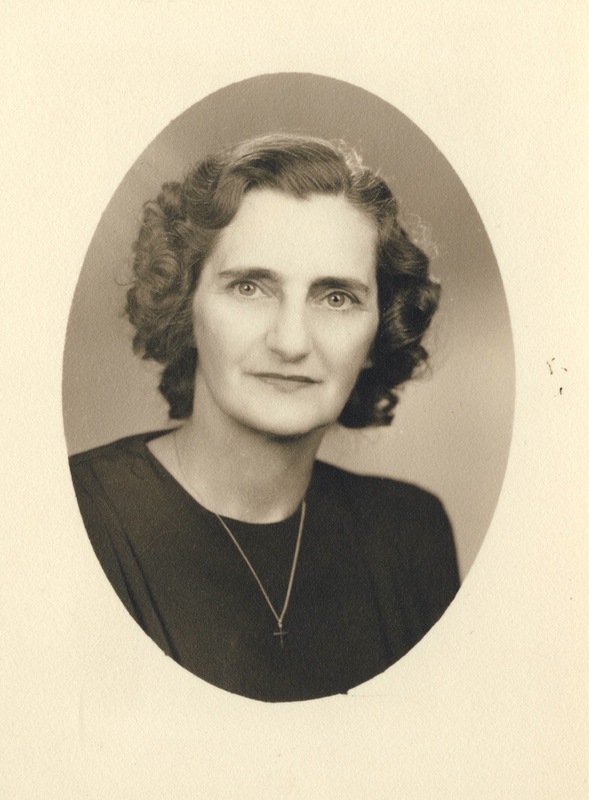 As it says in 1 Corinthians 13:2, “If I had the gift of prophecy, and if I understood all of God’s secret plans and possessed all knowledge, and if I had such faith that I could move mountains, but didn’t love others, I would be nothing.” In my way, I suppose I loved this grandmother that I never really knew.